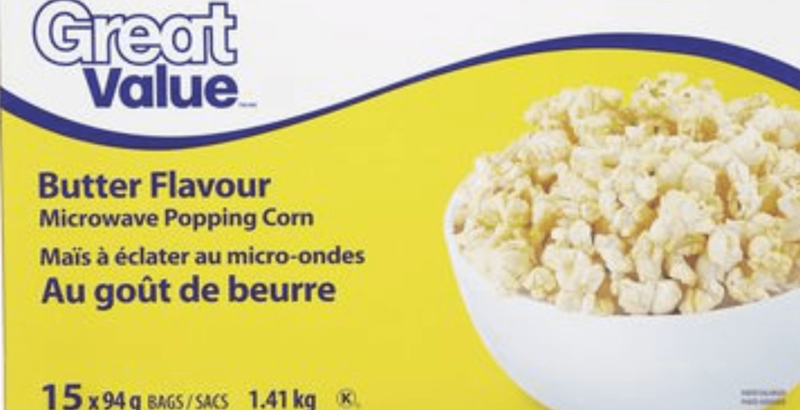 Great Value popcorn, sold at Walmart locations across Canada, has been recalled due to the presence of insects in the product. According to the Canadian Food Inspection Agency, “extraneous material” has been found in the popcorn. Those who purchased this product are asked to throw it away or return it to the store where purchased.